Construction toys on a picnic? It’s true! 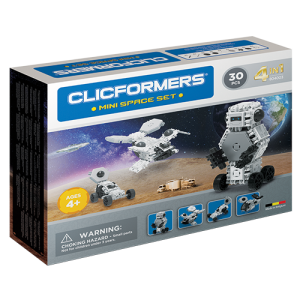 The Blossom 150 pcs package from Clicformers contains all the building blocks to build a picnic basket. This way you will not only picnic in style, but you will also become smarter. Because Clicformers are STEM toys and that is good for your brain! Moreover, the Blossom series of Clicformers is also good for your mood. You are guaranteed cheerful by the look of the beautiful pastel colors and the nice creations that you can build with it. How about a crown or a butterfly? Or a sailboat or a whale? And if that isn’t enough, you can also build a train and a giraffe. Or you just come up with something yourself, because you are naturally creative! 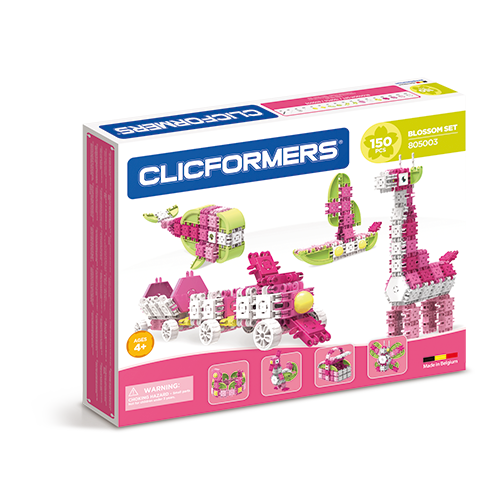 With the Clicformers Blossom set you get the best building toys for girls. You can tell easily, because girls can’t get enough of the many creative possibilities and the fresh look of this building toy.